The Alfa Romeo Giulia offers a thrilling performance matched by luxurious interior features and high-end technology. Whether you are intrigued by the top speed of 149 MPH, or 7-Inch Driver Information Display, the Giulia is sure to catch your eye at Zeigler Alfa Romeo of Schaumburg. Unsure if the Giulia is the right car for you? Compare it to the 2018 BMW 330i, the Audi A4, or the 2018 Giulia Quadrifoglio with a test drive at our Schaumburg dealership. 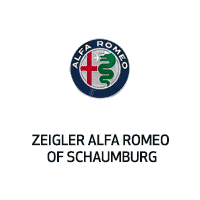 Contact us at Zeigler Alfa Romeo of Schaumburg to schedule your appointment today!